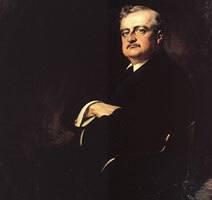 March 2018 marks the centenary of the death of John Redmond, leader of the Irish Parliamentary Party, which had dominated party political life since the heyday of Parnell in the 1880s. It would all but be wiped out by Sinn Féin in the December 1918 General Election. Was that inevitable? To what extent was Redmond responsible for this change or was it due to circumstances beyond his control? Is it fair in hindsight to judge Redmond on the final few years of a long and eventful career? Was the Treaty settlement of 1921 to a large degree ‘Home Rule for slow learners’ in any case? To discuss these and related questions History Ireland editor, Tommy Graham, was joined by Martin O’Donoghue (National Library of Ireland), Brian Hanley (University of Edinburgh), and Dermot Meleady (Redmond’s biographer).